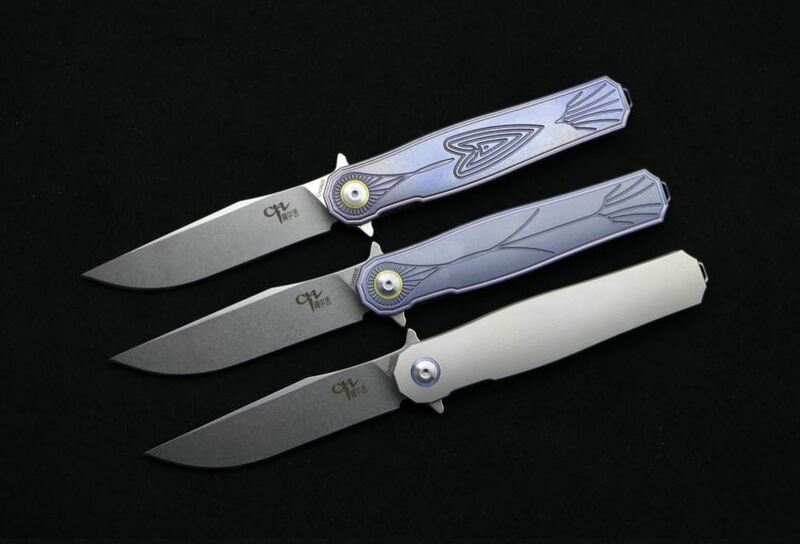 Best Chinese Knives: New CH Knives on AliExpress: The CH3505 and the CH3005 Rhino! New CH Knives on AliExpress: The CH3505 and the CH3005 Rhino! New titanium flipper with finger guards. Features single row ceramic bearings, embossed pivot and comes in 3 handle variations. Nice to see CH are again making knives is S35VN, this time a full flat ground stonewashed drop-point blade. Newest model from CH, and their take on a sub 3" stout flipper. This one has a CF scale + ti frame handle (also 3 color options), pocket clip in the shape of a rhino leg and a stonewashed blade made from AUS8 steel. Just a quick update. I was able to pickup the new CF CH Knives model 3005 "rhino" today with a decent discount on DHgate. The cheapest seller is selling it for $56. Then that seller offers a $3 off coupon. Also DHgate is having their 13th anniversary sale for the next few days. Which I found another coupon taking another $4 off an order of $50+... Because you can use a company coupon and a seller coupon at the same time, I was able to get it down to $49 with free shipping. $56-$3-$4=$49... $49.40 I believe was the grand total for a brand new real carbon fiber flipper sent to my door seemed like a great deal. Just trying to pass it along. Pretty sure anyone could get those discounts if you spend a couple minutes browsing for the discounts/coupons.